Idris Elba has confirmed the new season of Luther will remain the show we know and love. The popular BBC crime series is returning for its fifth season next year, after last being broadcast in 2015. Luther actor Idris Elba has revealed that the show will not be deviating from its “classic” form, but staying true to the original style that made it such a success in the first place. However, Wilson herself did recently confirm the character’s return earlier this year, so we can take a pretty good guess at what he’s getting at. Luther is expected to return in early 2019 on BBC One. Idris Elba is set to return for a fifth series of Luther. 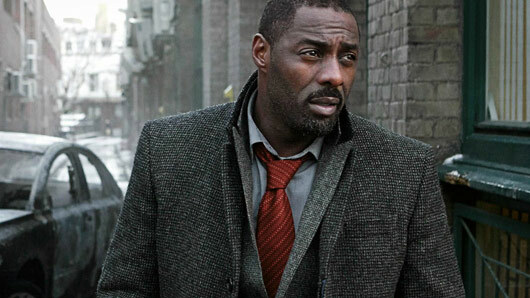 It’s been two years since the fourth instalment of the series, but it was today confirmed by Digital Spy that Idris Elba would be returning to the role for a fifth outing. Elba plays DCI John Luther in the acclaimed series, an extremely passionate police officer in a Serial Crime Unit. Elba has won a Critics’ Choice Television Award, Golden Globe Award, NAACP Image Award, and Screen Actors Guild Award for his performance in the series, as well as being nominated for four Outstanding Lead Actor in a Miniseries or Movie Emmy Awards. Meanwhile, BBC Drama Controller Piers Wenger has promised series five is “utterly heart-stopping and unmissable”. Executive Producer Hilary Salmon added that BBC Studios “will be pulling out all the stops to make the show bigger, bolder and of course more scary than ever”. It felt good to finally have Luther back on our screens last night. Taking a leave of absence from the force in the last series, our leading man is now living in a house close to a literal cliff’s edge, which he said was cheap, and was bringing him “closer to the edge everyday”. Edgy. The episode featured many flashbacks to previous episodes, which helped to remind us what had brought our brooding hero here, to a place so wilfully distanced from the rest of the world. Alice Morgan (Ruth Wilson), who so beguiled and entranced him, figured in the majority of these flashbacks. When he received confirmation of her death, he was devastated, as now their future together was never going to be. Heroes are always haunted by personal tragedy, and even Luther cannot escape this ‘universal truth’. The shot of him atop a skyscraper with the London skyline in front of him and a pulsating soundtrack in the background harked back to many a superhero’s lonely and isolated stance in the world. Much of last night’s episode took place in Hackney Wick and Islington. The familiarity of this local drawn drama brought the action close to one’s own doorstep for we London-dwelling viewers, which made it a refreshing change from the increasingly foreign imports on television. In this new two-part series’ opening episode there was a cannibal serial killer on the loose, hacking off body parts and eating them à la Hannibal Lecter. With Luther’s colleague’s untimely demise by explosion during the investigation, Luther returned to the force to take charge of the case. We were glad to see that Luther has not yet lost any of his volatile, unorthodox style as he forcibly bundled a suspect into the boot of his car. Most notably, Luther’s entry back to the force was an elegant triumph of directing and acting. No fuss no muss, just very beautifully done when he crossed the police blue tape back into the fold. Wordlessly and allegorically, Idris Elba performed the scene with great élan. I almost broke into a spontaneous applause at this point. It was clearly the producers’ intention that this opening episode should be like a Luther ‘movie’, giving them more time to develop and flesh out the storyline – hence two hours will be dedicated to this investigation with the second hour being shown next week. So far, it certainly does deserve the movie status that the producers were trying to create. The cinematography was excellent, with many wide angled expansive shots creating many beautiful moments, along with an excellent soundtrack adding depth of emotion in the telling of the story. So bring out your popcorn and join us on the mean streets of Luther’s London when episode two airs next Tuesday at 9:00pm on BBC One. If last night’s episode is anything to go by, it’s sure to be a good one.